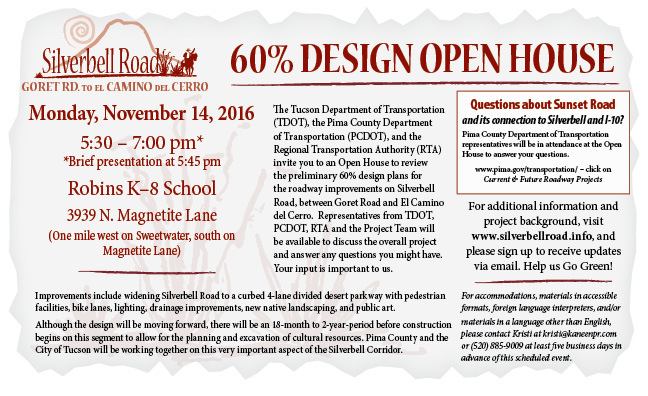 The 60% Design Open House was held November 14, 2016. 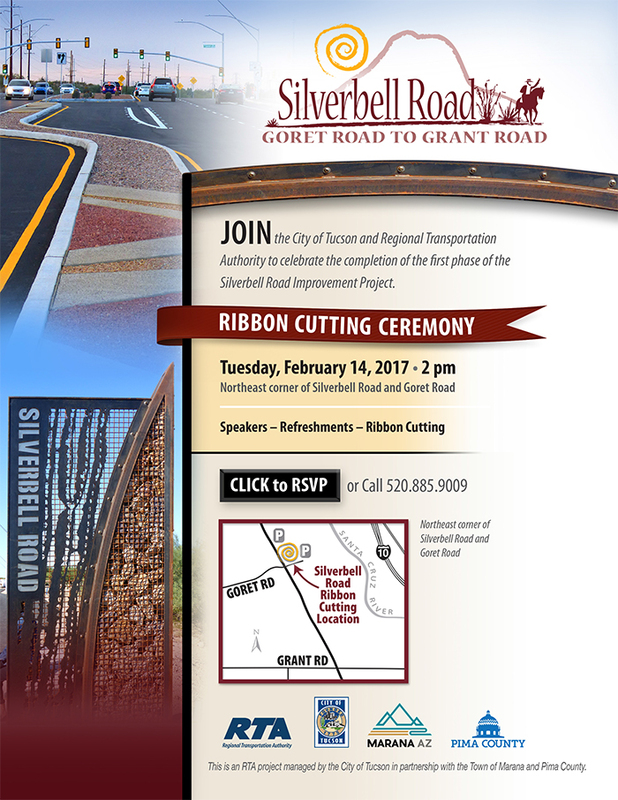 The Tucson Department of Transportation (TDOT), the Pima County Department of Transportation (PCDOT), and the Regional Transportation Authority (RTA) held an open house for the public to review the preliminary 60% design plans for the roadway improvements on Silverbell Road, between Goret Road and El Camino del Cerro. Representatives from TDOT, PCDOT, RTA and the Project Team were available to discuss the overall project and answer any questions the public might have. Your input is important to us. Construction was completed in January 2017. This project is part of the $2.1 billion Regional Transportation Authority (RTA) plan approved by voters in 2006. 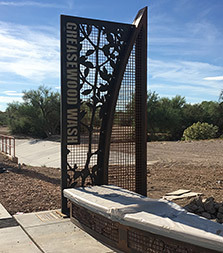 It is managed by the City of Tucson and the RTA in conjunction with the Town of Marana and Pima County.